What do the movies The Jazz Singer (1980) and Keeping Up With The Steins (2006) have in common? 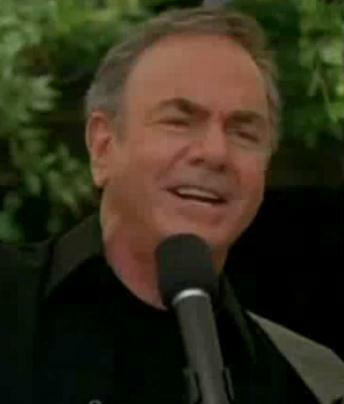 It's Neil Diamond singing Hava Nagila! The Jazz Singer was a remake of the original 1927 Al Jolson film. 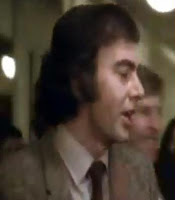 In the 1980 version, Diamond plays the role of a cantor's son who desires success as a pop singer, despite the wishes of his imperious father. On the side, he writes songs for a black singing group, and when a member of the quartet takes ill, he covers for him at one of their gigs. The nightclub engagement is such a success that the cantor's son abandons his family -- and his father's synagogue -- and leaves his New York home for Los Angeles, hoping to break into the music business. Keeping Up With The Steins is a 2006 comedy, poking fun at over-the-top Bar Mitzvahs, with Diamond's appearance at the Bar Mitzvah serving as an example of this excess. Can you see what's changed in the time that elapsed between the two movies? Here's The Jazz Singer. Diamond has changed in the 26 years between the two movies, while maintaining his star status on the pop music scene. How? Well, his thick black mane became a manageable gray. And he learned to pronounce Hebrew words correctly. We hope you enjoy both versions.